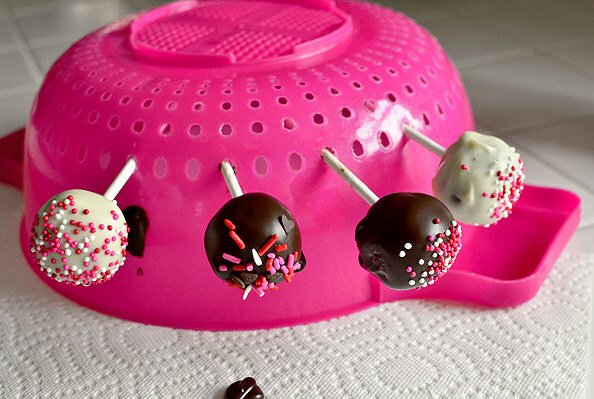 MOM Tip: Where do you put your cake pops while they dry and harden? Well, a colander of course! The holes in a colander will hold them up while they set. Click here to get this tip from Iowa Girl Eats.